If you're stuck in Blighty like me and not enjoying the sun and music at this weekend's Coachella festival across the pond, well don't worry. 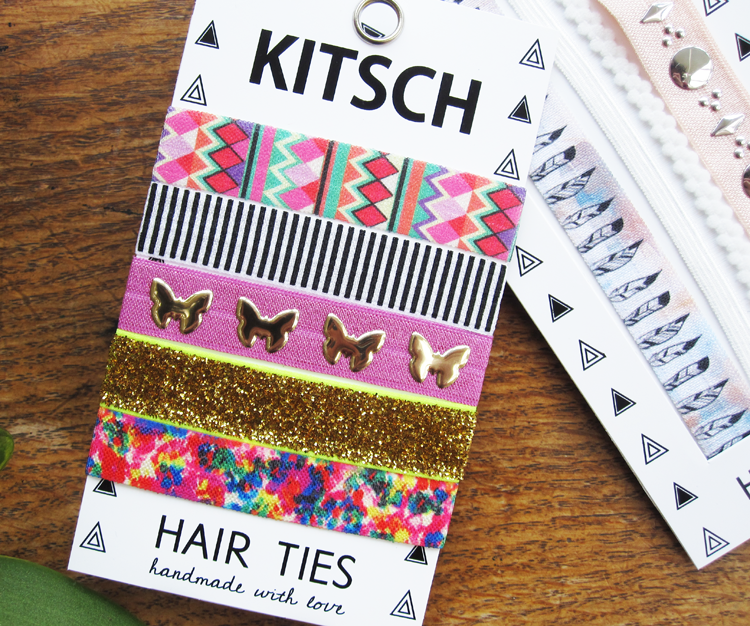 You can still channel your inner hipster with these so-cool-it-hurts accessories from KITSCH. KITSCH are based in Los Angeles and it was love at first sight when I saw their online shop. They sell a whole range of cool jewellery, on trend hair accessories, metallic tattoos and they even have some awesome bohemian style candles for sale too. KITSCH sort of remind me of Urban Outfitters meets Paperchase - if you love prints and interesting designs, you'll be in accessory heaven. 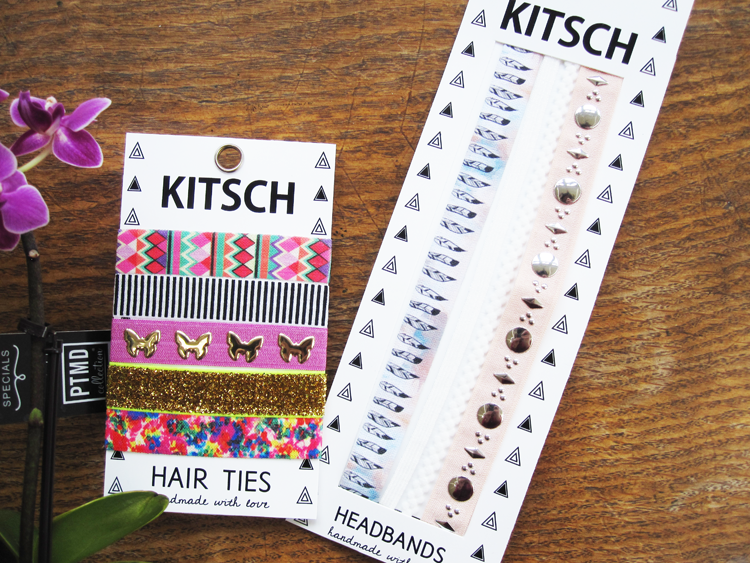 KITSCH have a large selection of wide elastic hair ties that come in themed packs of five. This one's called Wonderland and features a graphic print, stripe print, butterfly studs, glitter and a trippy floral print. The elastic material is smooth and feels good quality. I've been wearing one or two of these on my wrists and I think they look pretty cool! 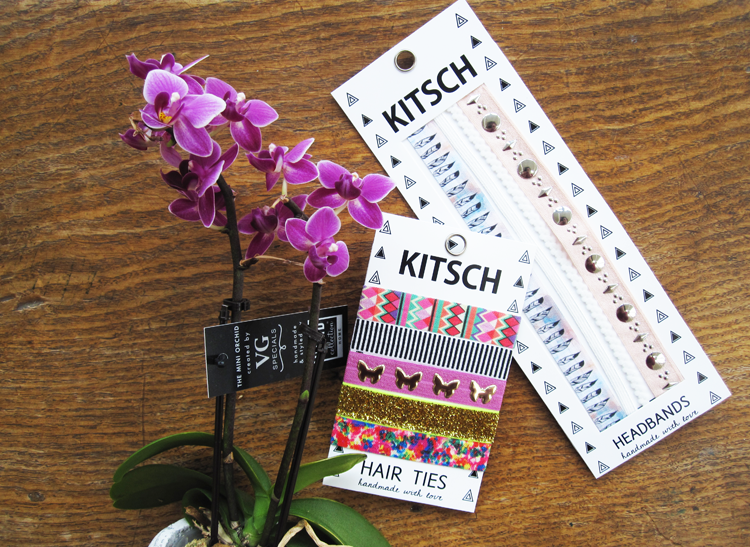 As well as Hair Ties, KITSCH have a great selection of Headbands, many of which match the Hair Tie designs. These are sold in packs of three and are again themed. The Dreamcatcher set above features a feather print, white lace design and a studded band. The headbands are also made of good quality smooth elastic and feel very comfortable on. Do you like accessories like these?